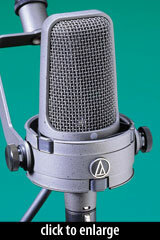 The AT3525 was an early back-electret condenser microphone, released around 1998. The mic had a relatively flat frequency response, and high max SPL of 156dB with the onboard -10dB pad enabled. A second switch on the mic body enabled a high-pass filter (-12dB/octave @ 80Hz). The mic shipped with an isolation yoke-mount and a storage pouch. 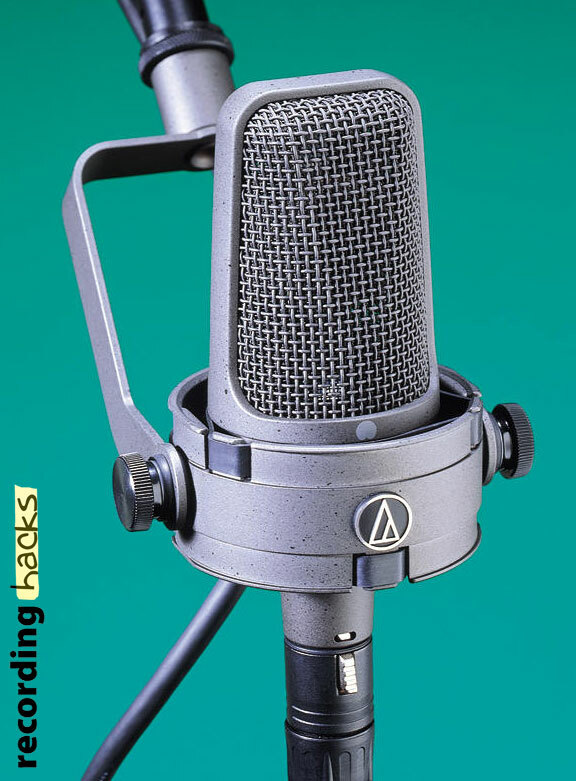 For me, the mic sounded at its best when the source was brought close enough to allow the proximity effect to start taking effect, and on vocals this creates a rich, quite warm sound with plenty of presence and detail. The 3525 cardioid mic should be an excellent horn mic, guitar mic, or general purpose mic for a variety of tracking purposes. A set of three or four will permit you to do a bunch of very nice things. The bottom end limitations will tend to KEEP you out of trouble far more often than GETTING you into it, and mostly you’ll enjoy the clean defined tracks you get.